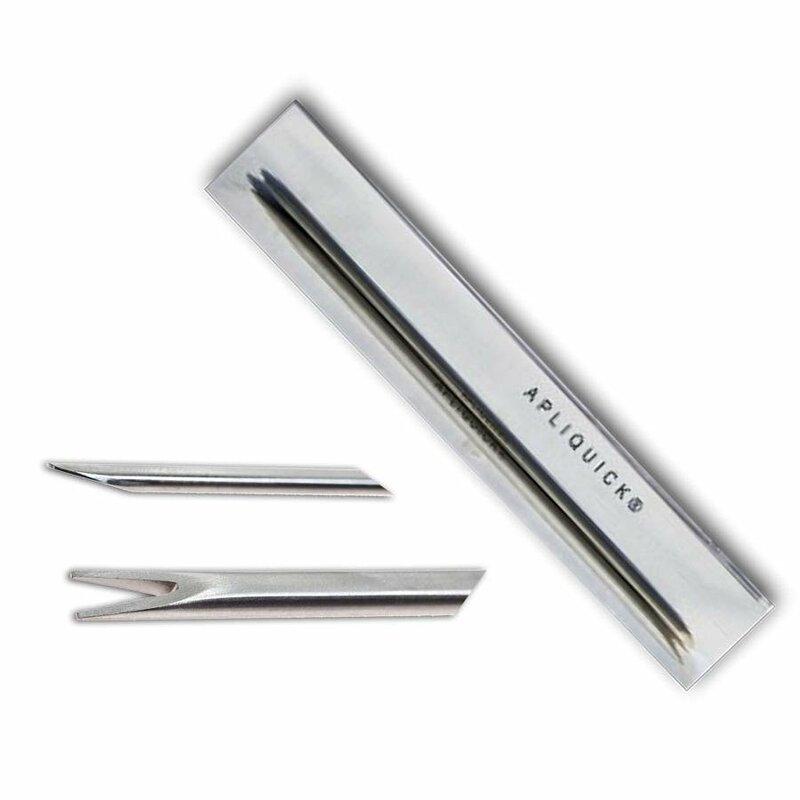 These precision tools are used to steady applique pieces as you glue and fold over the stabilizer. Simply hold the pronged tool in your non-dominant hand and gently but firmly press down on the piece you are working on to hold in place. Use the beveled edge tool to flip and smooth the raw edge over the stabilizer and the pointed ends to manipulate tight curves and corners. Adele's tips: Use a silicone baking sheet or other grippy mat to hold appliques in place while folding. Use scrap paper while applying glue so you can throw away after each use to prevent glue from getting on the front of the applique shapes.